Easter is on the horizon and the weather is gradually showing signs of improvement after a torrid month of snow, wind and unbelievably cold spells… Hooray! 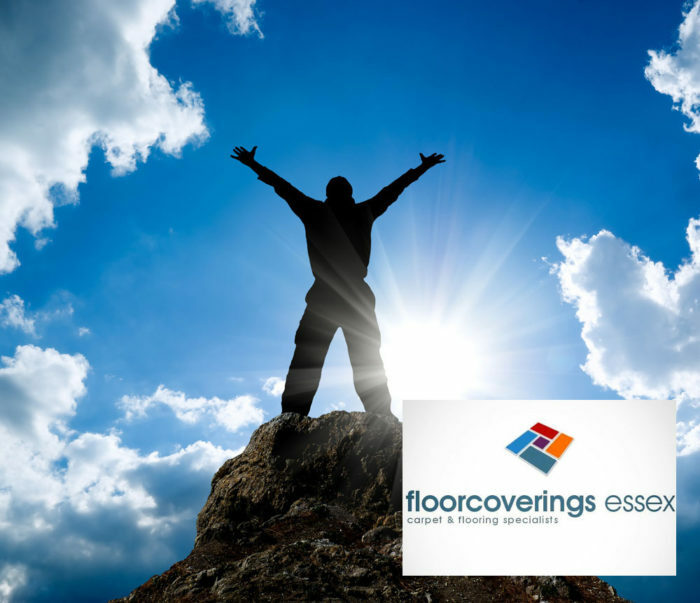 Despite the weather causing a lot of interference, the team of sales staff and fitters alike at Floor Coverings Essex have been hard at work securing a number of notable achievements during the month of March; not all within the realm of flooring, either. First of all, we’d like to publicly congratulate our apprentice fitter and sales colleague for our South Woodham Ferrers branch, Dan. Since becoming an apprentice with us nearly two years ago, Dan has worked tirelessly to improve his skills and build towards a career as a flooring fitter. 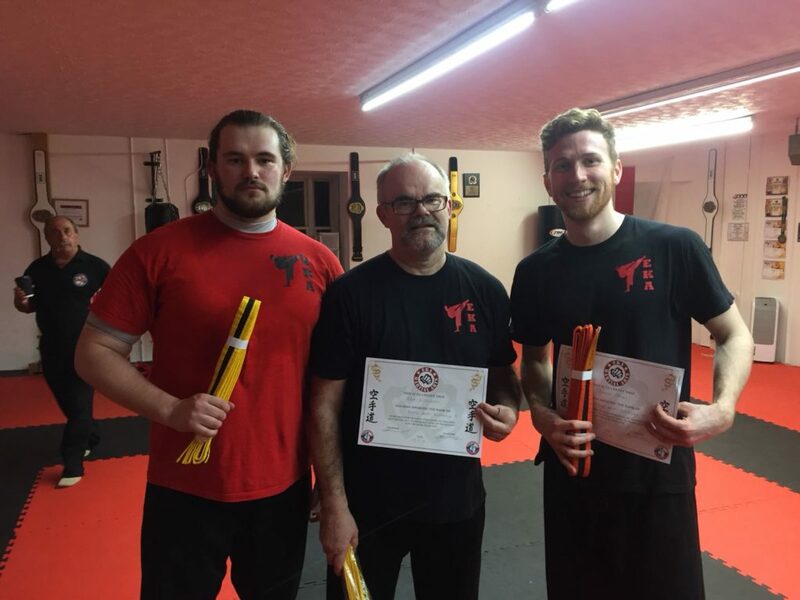 Along the way, he has completed numerous training courses and floor skills tests, including this month where Dan was tasked to fit carpets, vinyls and the highly detailed product that is Luxury Vinyl Tiles. 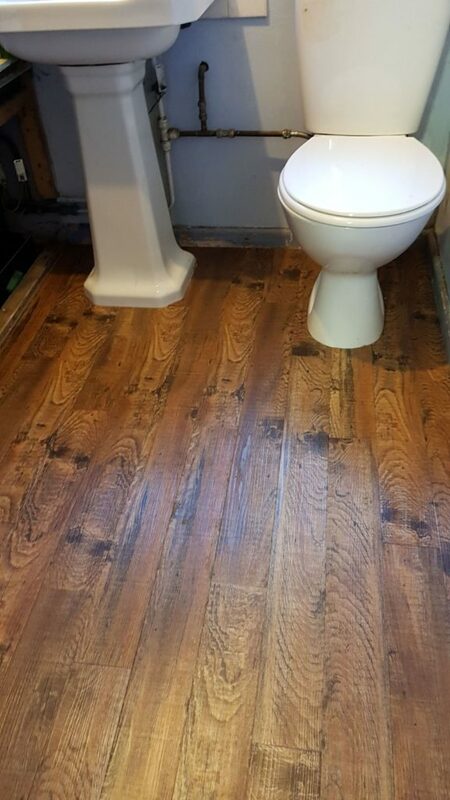 Below is a photo of the completed LVT job that Dan fitted in a small W/C. It’s not easy cutting around sinks and toilets, so well done Dan! In addition to this, our sales team completed a training course on LVT with Lifestyle Floors. This topped up our current knowledge and expertise on Vinyl Tiles, and also gave us a glimpse of what is to come over the next several months from Lifestyle Floors and their competitors. As the LVT market continues to develop and grow, we will always strive to keep our products fresh and up to date, as well as the information and advice that we give to our wonderful customers. This month has also seen the debut of our Southminster shop manager, Tom, on the radio! He is presenting two weekly shows on local community station, Saint FM 94.7. You can hear him on Tuesdays from 6-7pm and Wednesdays 9-10pm. Tune in your radios or listen on the station’s website.